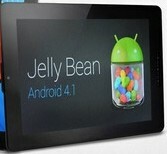 Onda is announcing the arrival of Android 4.1 Jelly Bean for VI40 Elite tablets. Things are generally improving for the Vi40 Elite since my initial review. Patience being not my greatest quality, I started to have doubts on the Onda roadmap and took the plunge for the CyanogenMod 9. Even after several hours of use (any freshly installed ROM looks fast when the cache is still empty), this mod seems to offers a much better overall experience, with greater stability, much less lags (still some though). On the minus side, the battery life seems significantly reduced (could be just because I spend much more time on my tablet since it runs on CM9!! ), and it can be difficult/impossible to wake the tablet at times (in such cases, the easier it to take a very long press on the power button to turn off the tablet, and then re-start it). 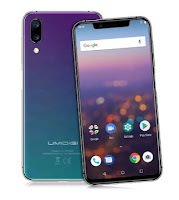 As more people managed to install the latest official Onda 1.4rc3/Android 4.0.4 (using LiveSuit upgrade method rather than the dodgy OTA utility), reports are generally praising the performance gain and Play Store improvements. Furthermore, Jelly Bean is now announced for the Vi range soon.